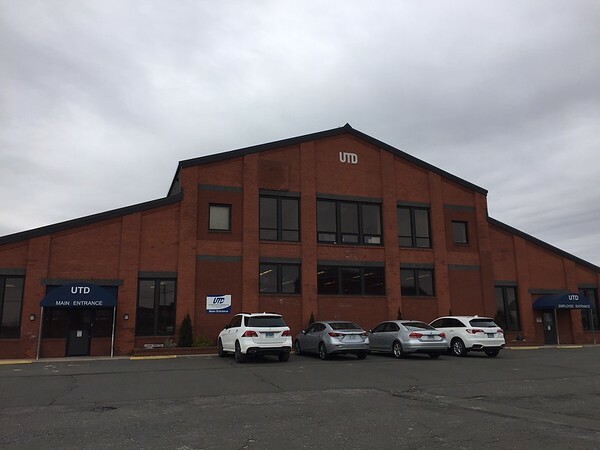 WEST HARTFORD - The United Tool and Die Company has been in business since 1923 manufacturing tubes, ducts and sheet metal. Santo Pirrotta, sales and marketing manager at The United Tool and Die Company (UTD), said the company also specializes in aluminum dip brazing. Located at 1 Carney Road, UTD is a tier one and tier two supplier serving small and large customers including Boeing, UTAS, Cobham, Pratt & Whitney, Triumph, Sikorsky, Avior Inc., BAE Systems, Defense Logistics, GE Avio, Meggitt, Mitsubishi and Regal Beloit. UTD is a women-owned, vertically integrated business. “When customers give us a part to make, for the most part it stays within the house,” Pirrotta said. UTD is constantly looking to expand its customer data base, but it is also often upgrading equipment that will allow the company to expand its capabilities. The most recent pieces of equipment purchased by the company include a couple of large industrial ovens to heat treat aluminum parts. The company also has a new laser machine and its most recent addition, a water jet cutting machine. The 90-employee company also stays active in the community to better serve the industry. “We are part of Aerospace Components Manufacturers, we are a group of over 100 companies that get together to discuss industry issues,” Pirrotta said. UTD also hosts University of Hartford students that use the facility to build equipment as part of the university’s engineering program. “We at times hire their engineers to stay on at our facility,” Pirrotta said. The company is one of many in the manufacturing business that face a lack of talent. “Right now our industry is very busy and yes we are in need of good-hardworking individuals,” Pirrotta said. The company is looking for at least half a dozen individuals to work as inspectors, fabricators and welders. UTD only offers one shift but it allows employees to work over time. To learn more about UTD visit www.utdco.com or call 860-246-6531. Posted in The Bristol Press, General Business, General News, Manufacturing on Monday, 11 February 2019 19:43. Updated: Monday, 11 February 2019 19:46.